The palm-fringed island’s growing offshore financial sector pitches itself as a financial platform bridging Africa, the Indian sub-continent and Asia. Mauritius is seeking to tap into the $1 trillion Islamic finance industry, and the central bank also plans to offer sharia-compliant short-term liquidity tools. The Bank of Mauritius granted its first Islamic Banking licence in October 2009 to provide an alternative mode of financial intermediation to bank customers, central bank Governor Rundheersing Bheenick said. “We expect the bank to be operational by the end of the first quarter of 2011,” Governor Bheenick wrote in his annual end-of-year letter to stakeholders. Islamic banking is one of the world’s fastest growing financial sectors, with industry estimates putting annual growth at 15-20 per cent. Turkish lender Kuveyt Türk has started selling “gold-on-the-go” from automatic teller machines, or ATMs, fulfilling a promise it made in January. Speaking at a press conference Tuesday, İrfan Yılmaz, the deputy general manager of the lender, noted that Turkey ranks among the top gold importers. A portion of this amount is exported, while nearly 1,500 tons of gold stays in the country, according to Yılmaz. “This makes $70 billion,” he said. Noting that gold has a key place in Turkish people’s saving practices, Yılmaz said Kuveyt Türk’s rise in gold banking started with this assessment. According to data from Kuveyt Türk, the Turkish banking system has around 42 tons of gold. Kuveyt Türk accounts for 20 percent of this amount. The lender’s gold transactions have reached an annual volume of $1 billion. That compares with its less than 1 percent share of overall Turkish banking assets. Customers will be able to buy 1-gram and 2.5-gram gold pieces from ATMs. 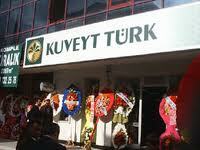 The service is currently only available at Kuveyt Türk’s headquarters branch. But it is expected to spread to 180 branches in the next year. Kuveyt Türk is 62 percent owned by the Kuwait Finance House and 18 percent owned by Turkey’s General Directorate of Foundations. E-mail is required in case we need to communicate with you. It will not appear on the website and will never be used for any other purposes. Comments policy: The Daily News seeks and supports freedom of expression and this commitment extends to our readers. Constraints include comments judged to be in violation of Turkish press law. We also moderate hate speech, libel and gratuitous insults. Qatar International Islamic Bank is to acquire full control of Islamic Bank of Britain for £25m ($40.2m). The announcement comes after the Qatar Central Bank ordered commercial banks to shutter their Islamic banking units by the end of the year – a move that would benefit banks such as Qatar International Islamic Bank as well as Qatar Islamic Bank and Masraf Al Rayan. Qatar International Islamic Bank already owns 81% of Islamic Bank of Britain and said that the acquisition was part of the bank’s global expansion strategy. Qatar International Islamic Bank’s chairman, Sheikh Khalid bin Thani bin Abdullah Al-Thani said that the bank’s long-term strategy was to build an international Shariah-compliant banking business. In December, Islamic Bank of Britain rolled out Sharia-compliant retail discretionary portfolio service in partnership with investment management platform provider Præmium Limited. The launch of the service followed a capital injection of £20m from Qatar International Islamic Bank and is an extension of the bank’s wealth advisory service. The service is available to both the bank’s UK and overseas clients. 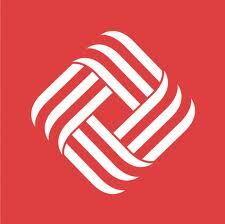 Bank Asya had in 2009 received clearance from Turkey’s banking regulator to open a representative office in India. 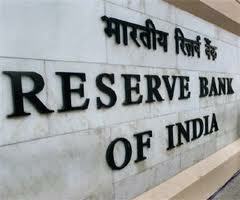 Its proposal has been pending with RBI for over a year. “After the global economic crisis, RBI has been stringent with allowing foreign banks in the country,” the finance ministry official said. “As a part of its liberalised policy for foreign banks, it has now granted permission to Bank Asya.” Global financial centers, such as Singapore , Hong Kong, Geneva, Zurich and London, have made changes in their regulations to accommodate Islamic finance industry that is now worth about $1 trillion. Karachi: Pakistan’s biggest Sharia- compliant debt funds are posting the best returns for sukuk investors this quarter as an export revival boosts bonds sold by the government and agricultural companies. The JS Islamic Pension Savings Fund-Debt, owned by JS Investments, and the NAFA Islamic Aggressive Income Fund, managed by NBP Fullerton Asset Management, recorded gains of 3.9 per cent and 3.2 per cent, data compiled by Bloomberg show. The Meezan Capital Protected Fund-I run by Kuwait’s Noor Financial Investment returned 3 per cent, ranked third among 76 such vehicles tracked by Bloomberg. The three Karachi-based funds oversee 57 billion rupees (Dh2.4 billion) of assets. Pakistan’s government forecasts economic growth will more than double to 2.5 per cent in the 12 months ending June 30.